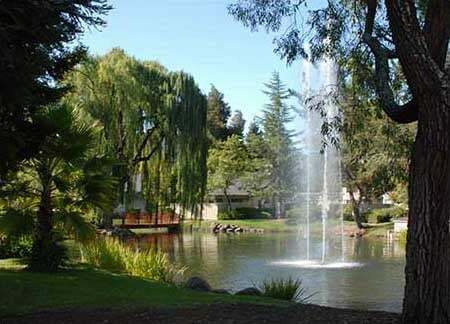 Focus Real Estate & Investments, Inc. in Santa Rosa, CA is a homeowner association management service provider. Homeowner Association management is more than just the management of condominiums, as it was once identified. There are now Planned Unit Developments (PUD), Homeowner Associations consisting of single-family homes from the modest to the extravagant gated communities, mixed-use (commercial mixed with residential), as well as retirement communities. All of these developments have a common nexis of being one form or another of a Homeowners Association, and as such fall under various areas of law in the State of California. A body of law, the Davis-Stirling Act (found in California Civil Code Sections 1350-1378) was enacted by the California legislature to specifically set guidelines and procedures for Homeowner Associations. Additional bodies of law applying to Homeowner Associations are the California Corporations Code and the Vehicle Code. The Davis-Stirling Act regulates a broad spectrum of issues affecting Homeowner Associations from budgetary issues such as operating accounts, reserve accounts, reserve studies, and the effect these different budgetary issues can have on Homeowner Association dues and/or special assessments, as well as issues concerning construction defects, civil rights and general health and safety issues. At the other end of the spectrum are issues such as pets, pools, parking, satellite dishes, and the enforcement powers of Homeowner Associations. The most valuable economic asset to an individual is the home they live in. The overall aesthetics of a property, such as landscaping and building maintenance are the key to the value and enjoyment of the property. The most valuable asset to a Homeowners Association is its property management company. It is critical Homeowners Associations hire a professional management team that has the knowledge and experience in this unique field in order to provide the Homeowners Association with specialized services. Focus Real Estate & Investments, Inc. is that professional property management company. We have been specializing in Homeowner Association management for over 15 years. Let us show you how we can minimize the problems that can arise for Homeowner Associations and how we can maximize the enjoyment and benefits of being part of a Homeowners Association.